Winter still grips Western Canada but spring will eventually arrive, so now is the time for you to plan and obtain wonderful items to compliment your outdoors especially those deck flower pots. 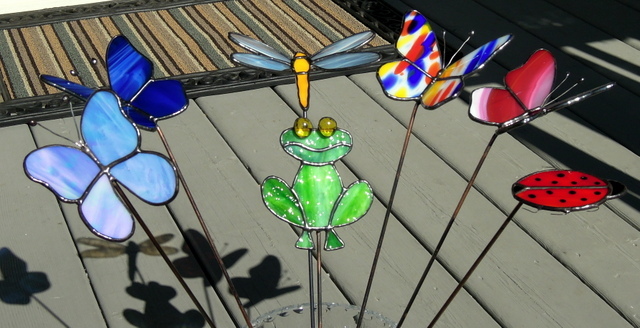 Our Garden Butterflies, Frogs, Ladybugs and Dragonflies will certainly brighten your flower beds, gardens, flower pots and add that special touch of beauty to your home. 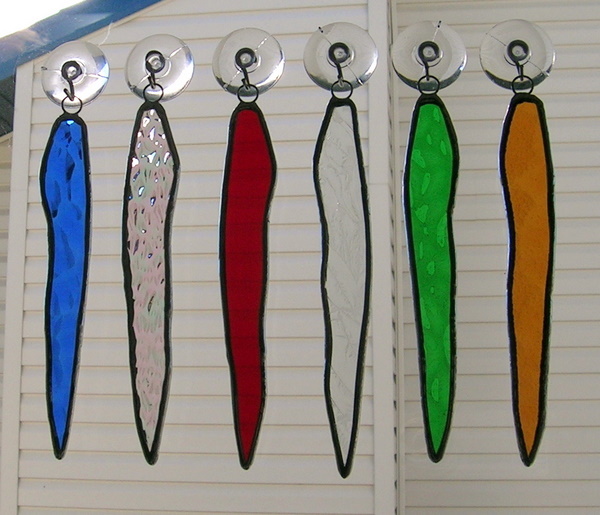 We use very beautiful art glass for these items, including Youghiogheny, Armstrong, Kokomo, Uroboros, Wissmach, Spectrum and Bullseye, some of this glass is Iridescent which adds that extra touch of beauty. 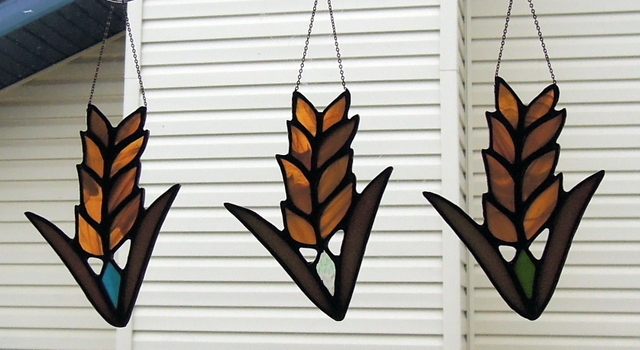 These suncatchers represent harvested wheat. They were commissioned as gifts for grandchildren for Christmas 2017. 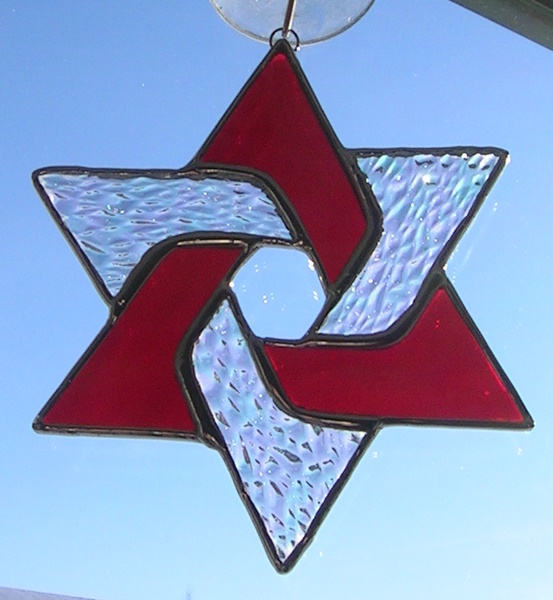 In the bottom center of each we placed a birthstone color glass representing the birth months of each grandchild. 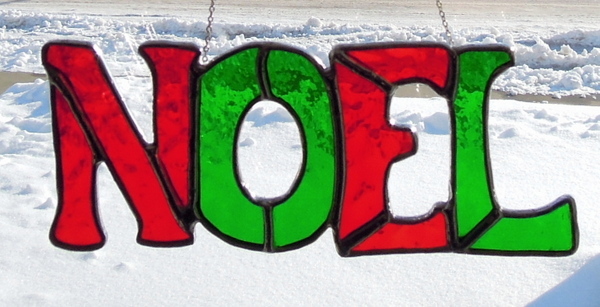 We soldered in a fine silver chain on each for hanging. 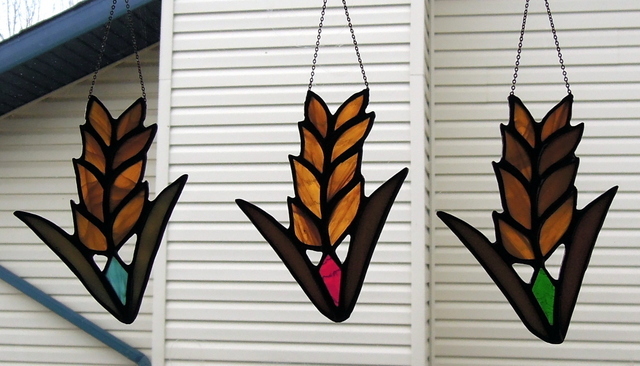 These suncatchers measured approximately 3.5 inches wide x 4.5 inches high. The first photo from left to right the blue represents Blue Topaz for December. The middle red one represents Ruby Red for July. The right one represents Peridot for August. In the next photo from left to right the dark blue represents Aquamarine for March. 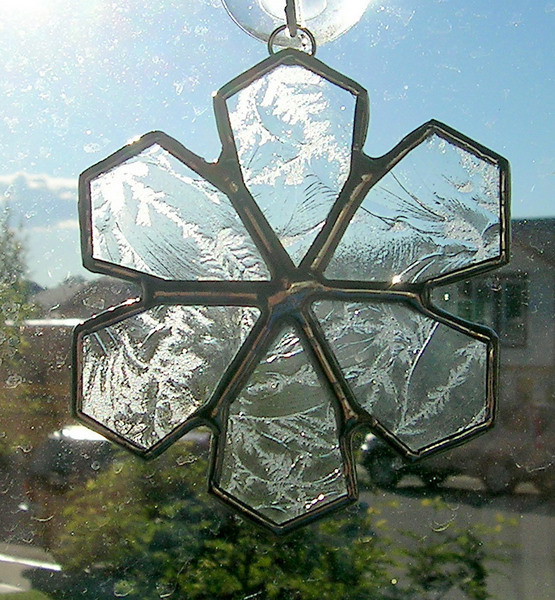 The center clear crystal ice iridescent represents Diamond for April. The one on right represents Emerald Green for May. 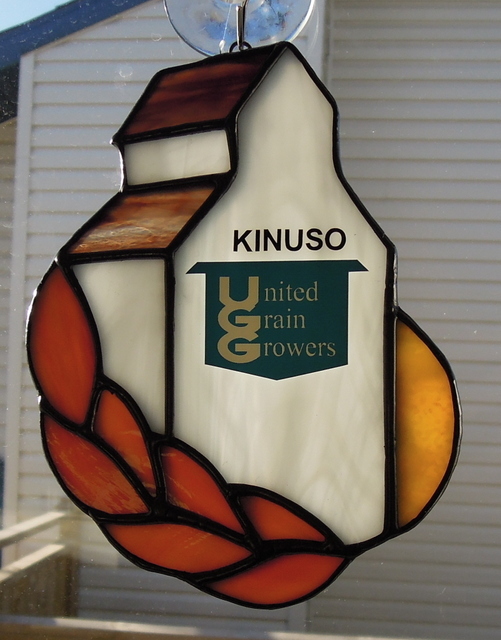 A client in Slave Lake Alberta requested that we make one of our United Grain Growers Elevator with the town name of Kinuso on it. Kinuso is located west of Slave Lake and just south of Lesser Slave Lake in Alberta. Our grain elevators measure approximately 4.5 inches wide by 6 inches high. 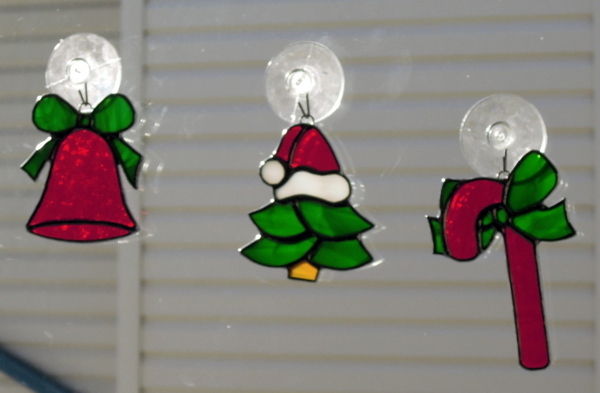 We box them complete with a care letter and a suction cup for hanging. We also make Alberta Wheat Pool, Saskatchewan Pool and Pioneer Elevators with name locations to suit our clients requests. Once again that wonderful time of the year when families gather around their Christmas Trees. 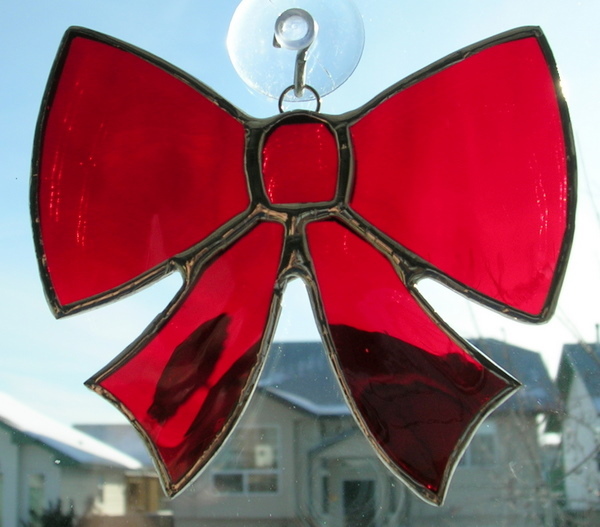 Over the years we have made many wonderful tree ornaments and here are few pictures of some that we have made. 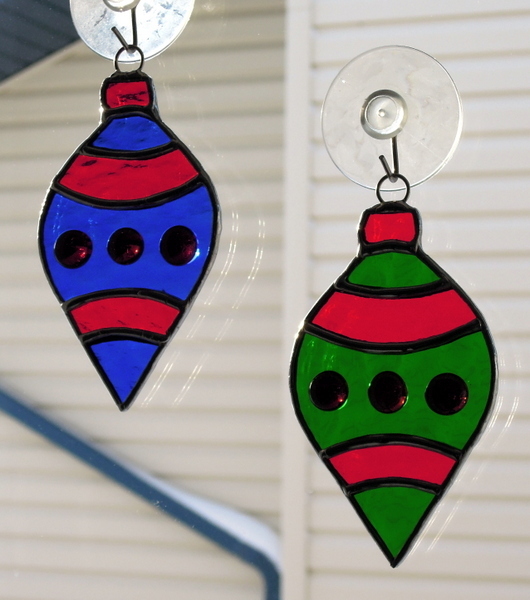 Earlier this year we were asked if we could make 2 small circle suncatchers that represented Alberta. 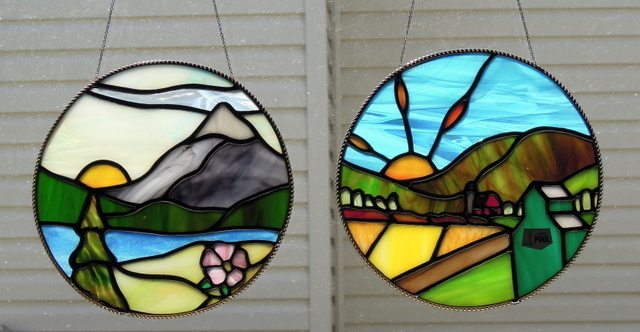 The one on the left depicted Alberta’s Rocky Mountains, the foothills and Alberta’s Provincial Flower the Alberta Rose. The other one on the right depicted Alberta’s farming lands, our rolling hills along with an Alberta Wheat Pool Elevator, unfortunately few of these prairie sentinels remain on our landscape. Both circles measured approximately 6 inches in diameter and were surrounded with a decorative brass edging. After soldering both had black patina applied, cleaned and then polished. 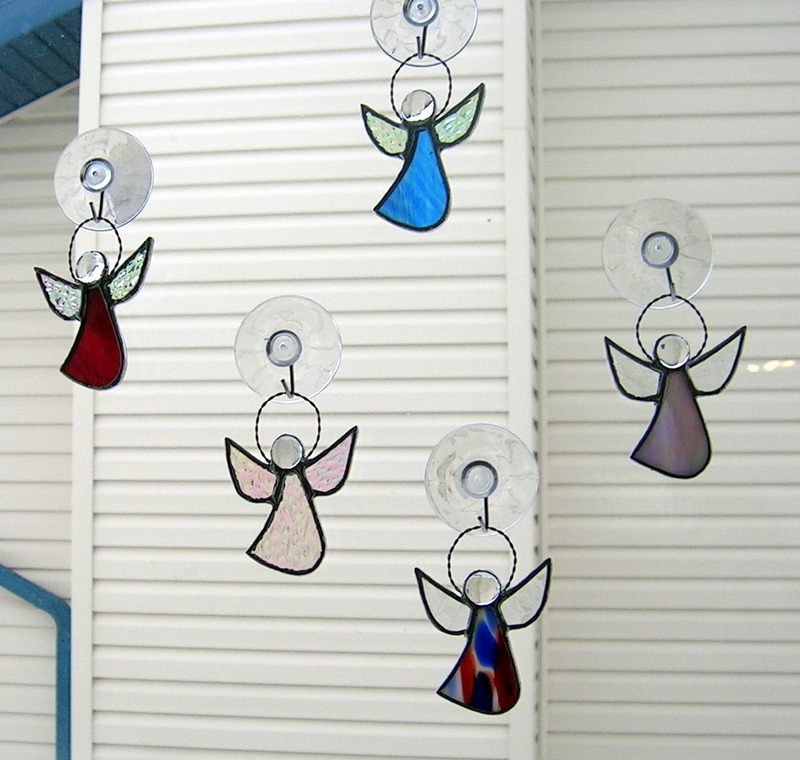 These were taken to England as gifts by our client, and we were told that they were very well received and appreciated.